After centuries of mining the bowels of Cerro Rico, the iconic mountain risks to collapse, threatening the whole city of Potosi. 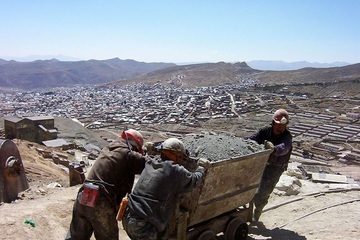 Since colonial times, Potosi has been a world famous mining city. 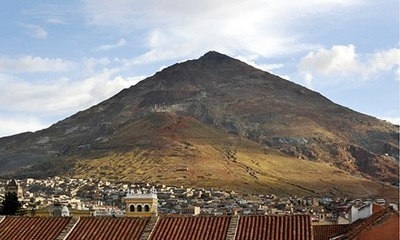 The mountain dominating over Potosi city is Cerro Rico, also called by the locals “the mountain which eats men”. During the 16th century its numerous and profitable mines made it the second largest city in the Americas after Mexico City, and primary sponsor to the Spanish Monarchy. It was estimated that from the 16th century more than 8 million miners died due to accidents or diseases caused by exposure to toxic substances. Even today, the conflicts that emerge relate to the exploitation of mineral resources at Potosi and involve several actors: the Government, mines, social movements, workers and unions. Each of the 15.000 miners of Cerro Rico is member of one of the 16 cooperatives which enjoy a lease contract granted by the Bolivian State. Only one mining multinational company exploits currently a Cerro Rico's mine: the San Bartolome one (Coeur Mining Inc.). By the beginning of the 2000s there were 34 cooperatives operating. Although called “cooperatives” the benefits are not even close to be equally shared as for instance the workers have no insurance and no right to pension. Such precarious situation for the miners also places a higher burden on their wives who have to take care of their husbands’ health and their existence becomes even harder if they become widow. The World Heritage Committee (UNESCO) wrote down the City of Potosi on the List of World Heritage in Danger in June 2014. 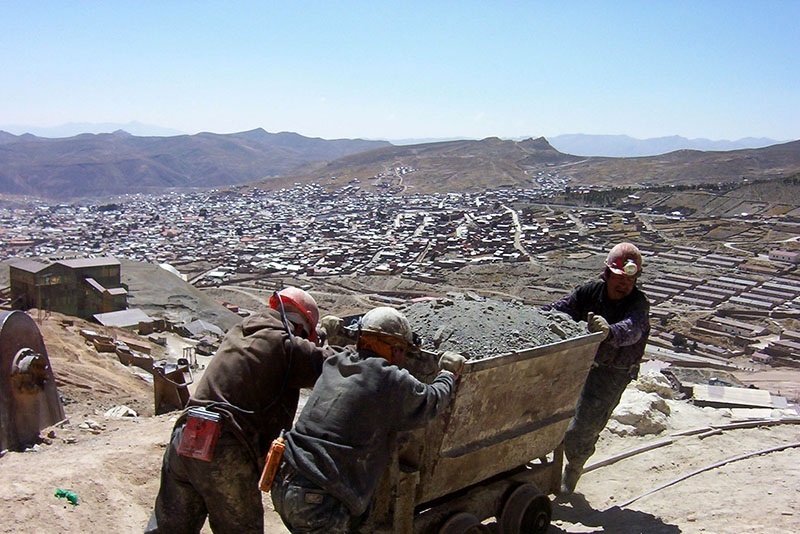 After centuries of uncontrolled and insatiable mining exploitation, the Cerro Rico risks to collapse and so threatens the whole city of Potosi. After the announcement by the UNESCO Committee, the cooperatives and the concerned governmental entities opened negotiations in order to plan the relocation of some of the cooperatives operating in Cerro Rico by granting them other mining concessions. Project Details The Cerro Rico mountain's mines are exploited since the 16th century. Today miners' cooperatives and one North-American mining company exploit the numerous gold and silver mines of the mountain of Potosi. Other Up to 4 workers killed every month, high rates of silicosis (an incurable lung disease). An average of 20 people die each month from work related accidents. According to a 2003 study by the Bolivian National Statistic Institute 98% of local children under 5 years old developed diarrhoea and intestinal problems. Why? Explain briefly. Although enjoying the closeness to Cerro Rico mines, the inhabitants of Potosi have remain miserable since the arrival of the Spaniards.